The latest fish tape innovation. It won't rust or corrode, so it's perfect for jobs in damp or wet conditions. 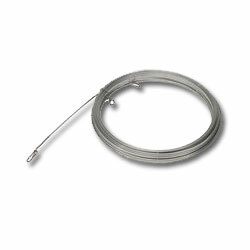 Stainless steel is easy to rewind and provides maximum pulling strength.